Mask Club Performances will resume in the Fall 2019 semester. For university funding opportunities, click here and/or visit https://financialaid.byu.edu/section/scholarships. For other national scholarships, fellowships, and programs, click here. 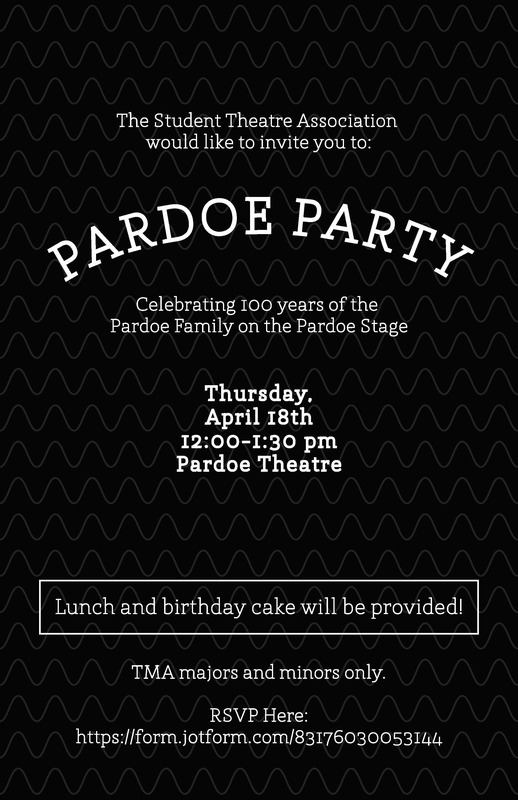 STA Pardoe Party: The Student Theatre Association would like to invite you to the end of the year celebration on Thursday, April 18 from 12-1:30pm. RSVP below! Interested in working with BYU Media Arts student filmmakers? Volunteer to be an actor, art designer, etc. and get involved with student capstone films at http://film.byu.edu/?page_id=3531.